Established in 1966 by Dr. Warren Wakai and Dr. Carl Haga (Hawaii's first trained endodontist), Endodontic Associates, LLC has proudly served Hawaii for over 45 years. 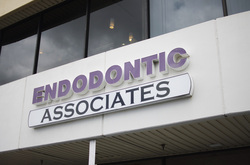 At Endodontic Associates, LLC we are committed to providing each patient with excellent customer service and unmatched endodontic care in a stress-free environment. Root canals can cause anxiety, but when you are in our care, you won't need to worry as we are dedicated to providing you with the personalized treatment that you deserve. Our state of the art facilities and cutting-edge technology allows us to be at the forefront of the industry, treating difficult cases with ease. This website was created to provide you with the information needed to make informed decisions about your dental care. We hope you find it both educational and interesting. If you have any questions or concerns, please feel free to contact us by phone at our Honolulu or Pearlridge office. ​Looking for a quick and easy way to refer your patients without having to call us? Try our new HIPAA compliant online referral system. Please provide us with all required information and we'll take care of the rest. We will contact your patient as soon as possible to schedule an appointment. If you would like to learn more please click here.